The Pro Evolution Soccer series is easily the most definitive soccer title on both the console and PC gaming world and its latest incarnation has finally arrived on the PS2 that once again sets new boundaries in one of the most popular sport games in the world… just like the name suggests, this is definitely the next evolutionary leap for console soccer games. Even though EA’s FIFA 07 is highly superior in the world of graphics, the gameplay still cannot stand up to Pro Evolution Soccer 6 which is easily one of the most playable, realistic and enjoyable soccer games on the PlayStation 2. One of the most noticeable aspects of Pro Evolution Soccer 6 is the control system of the title that simply flows perfectly with the DualShock controller. Although the learning curve for the title is rather steep for the beginner player, those more experienced gamers will have no issue in picking up the controller and kicking away. 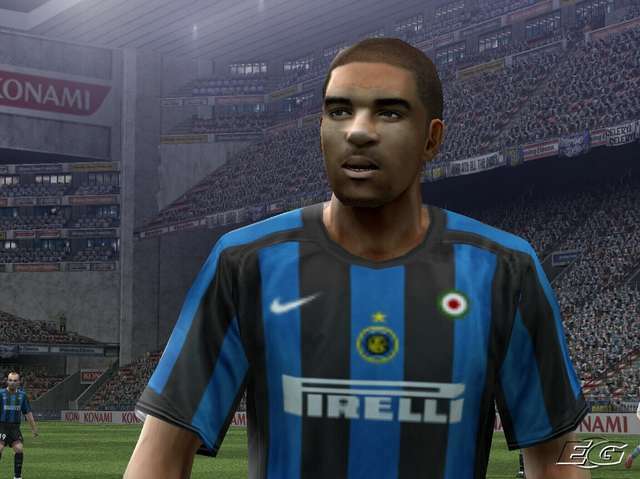 The main gameplay theme of Pro Evolution Soccer 6 offers the player a wide variety of tactics with realistic game physics. Whether your making a short pass or attempting to kick a goal, the developers have really give the player a great range of combinations. However, even if you’re the most novices of gamers, you can still play the game with your limited control system. Everything feels so natural in the game and to make things even more interesting, the title features some great multiplayer options. Although the Pro Evolution Soccer series does have “partial” licensing, it is unfortunately not as in-depth as EA’s FIFA series which must come down to the player’s preference. Licensing (good gameplay) vs. no-licensing (excellent gameplay), although the choice is rather simply, unless you are a strict eye-candy gamer that wants the best possible graphics for the system. Graphically, Pro Evolution Soccer 6 (for this reviewer) is rather impressive on the PlayStation 2 and even when compared to FIFA 07 side by side, the title does lack a little in the graphic department. However, all the stadiums, players and animations have been professionally designed and work hand-in-hand with the gameplay, whether your players are running down the field, performing scissor kicks or watching the crowd, one can be forgiven in thinking that they are watching a real soccer game. The title also boasts a plethora of different views but once again when it comes to a playable view (even as with FIFA), the top-down view is far superior and also allows for far superior and more responsive gameplay. Musically, Pro Evolution Soccer 6 features your stock standard sports soundtrack that although will give nothing to the genre, it does help immerse the player into the world of professional soccer. Sound wise, Pro Evolution Soccer 6 is great and features all the sounds of soccer; from the roars of the crowd, to the sounds on the field which work hand-in-hand with the gameplay. In conclusion, Pro Evolution Soccer 6 is easily the most superior soccer game on the market at the moment and although it doesn’t contain the same polish of the FIFA series, this is the title to get if you want exceptional gameplay that will definitely give you hours upon hours of enjoyment. Extremely rewarding!